Outdoor Furniture - Shop By Brand - Castelle - Quick Ship Collections - Park Place Quick Ship - Trees n Trends - Home, Fashion & MORE! The elegance of clean lines, crisp angles and tailored seating designed for small spaces come together with the CASTELLE PARK PLACE METRO collection. 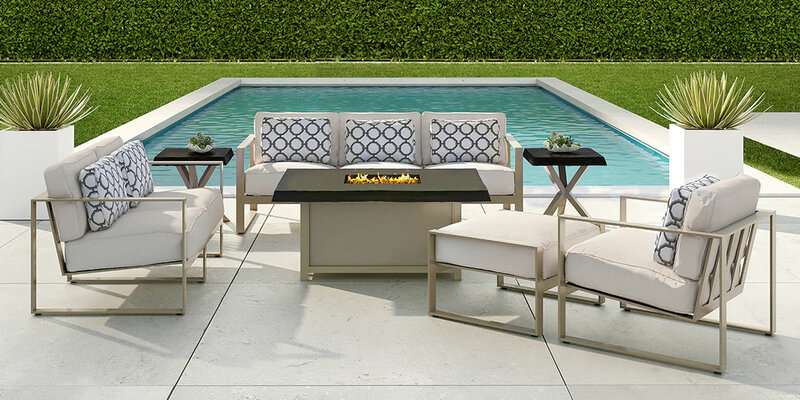 Taking modern design to luxury limits, CASTELLE PARK PLACE METRO collection defines outdoor living through enhanced comfort and engineered precision completed with multi-stage finishing and optional artisan applied antiquing.